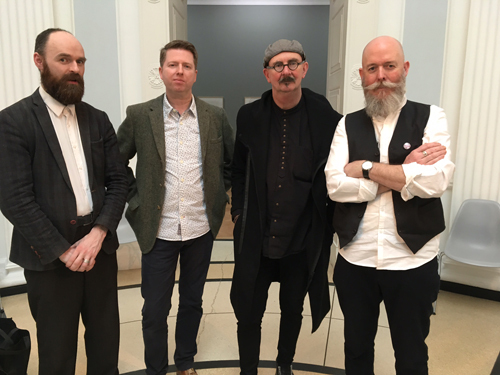 The Hugh Lane Concert series continues with a performance entitled As the quiet crow flies. In this programme we hear a ground breaking and completely improvised performance by sound art practitioners, composers and musicians Danny McCarthy and Mick O’Shea (The Quiet Club) and Ian Wilson and Cathal Roche (cRow). As well as the performance we will have the opportunity to hear the musicians talk about the art of improvisation, unusual instruments and sound devices and their collective backgrounds. We also have audience anticipations and reactions to the performance. Produced & edited by Paul Loughran. Interviews and presented by Ken Tuohy. Production support and voxpops by Dorothee Meyer Holtkamp. Production support by Gary Kirwin. This concert performance was recorded by Darby O’Carroll.